The goal was to deliver a theme that is easy to use, even for users with no coding knowledge. If you’re a professional designer and you are putting together a site for a client, this is something that you should take a look at, as well. The simplicity of use and the special features make this theme so easy to get set up and running. 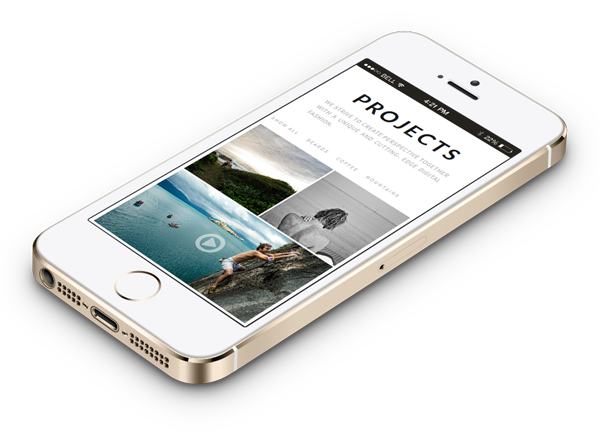 This theme was built with responsive styling in mind to make sure it displays nicely on all devices. With red:folio you can create unlimited portfolio sections and portfolio pages, each displaying portfolio items from multiple categories. Display YouTube or Vimeo videos and play them in a lightbox. Optionally add a flat minimal browser mockup on top of the portfolio item. 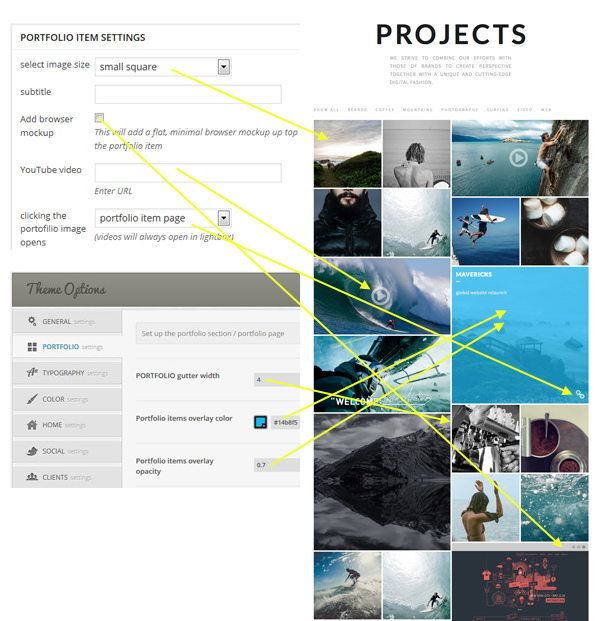 Select portfolio gutter width, overlay color and opacity in the Theme Options Panel. Choose one of over 600 Google fonts for your headlines. Simply enter the font name in the Theme Options Panel and the rest is taken care of. The primary color, secondary color, hover color, searchbar color and forms color can be selected via color picker in the Theme Options Panel. Pretty Photo Lightbox is automatically added to any images that link to the full image. The lightbox skin has been styled to match the minimal theme layout. Red:folio’s code is clean, organized, and well commented. Everything has it’s rightful place, making advanced customizations to templates, stylesheets and functions easy. If you would like to add your own CSS styles, simply put them into the Custom CSS field in the Theme Options Panel and it will override all stylesheets. That way you won’t lose your customizations when updating the theme. The well thought trough Theme Options Panel helps to easily customize your site with just a few clicks. Dummy Content (.xml file) is included in the download files to help you get started. Font Awesome icon font is included in the theme files. Translation: red:folio is translation ready. Translate into any language you wish using the included .po/.mo files. Everything you need to get started. NOTE ! None of the images from the Theme Demo are included in the download version of the template!